Intel has a strong commitment to diversity and inclusion. We believe that in order to shape the future of technology, we must be representative of that future. This is what started Intel’s exploration into sponsoring FIDGETECH’s initial game jam and our ongoing relationship with them, as well as other non-profits that actively work with STEM education for diverse populations. Autism affects a large number of people and their unique backgrounds, perspectives, and experiences can help us to continue to innovate and solve the world’s toughest challenges. FIDGETECH is a non-profit organization in the Portland-metro area that creates technology-focused programs for autistic people age 17 and up. 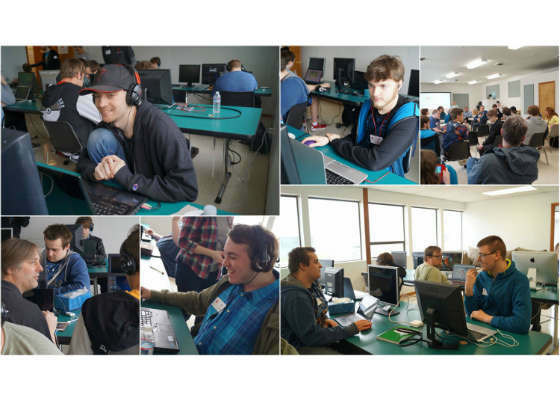 Intel® Software worked with FIDGETECH this past spring to sponsor a Game Jam where young autistic adults received an introduction to game design from professional game developers. Below, Director Justine Haigh explains how the organization got started and where they are headed. FIDGETECH is the result of several years of collaboration between a small group of individuals based in Portland, Oregon interested in the personal and professional success of adults with autism. Dr. Justine Haigh, FIDGETECH’s director, is mother to Dan (now 19) who was diagnosed with autism at an early age. Justine noticed her son loved focusing on technology, even at a very young age, and realized that other young adults on the autism spectrum share a similar passion. Committed to helping her son, and others, find their purpose through technology, Justine teamed up with David Karstens, Jeanna Johnson, and other volunteers to create a variety of technology-focused programs for young autistic adults, ages 17 or older. We started as a night program at Park Academy in Lake Oswego, Oregon called the “Explorer” program. FIDGETECH Explorer has been running for two years with over 25 participating members. In a fun and supportive environment, members are encouraged to explore various areas of technology to expand their technical abilities and knowledge. Through team projects, individual projects, group instruction, and self-study, members develop skills and apply their knowledge using technologies such as Blender, Photoshop, Java, HTML/CSS, SketchUp, C++/C#, Unreal, GameMaker, Unity, SparkFun, and others. FIDGETECH was just recently notified that we are now officially a 501(c)(3) non-profit organization. We are very excited about this and are looking forward to start fund-raising efforts soon. 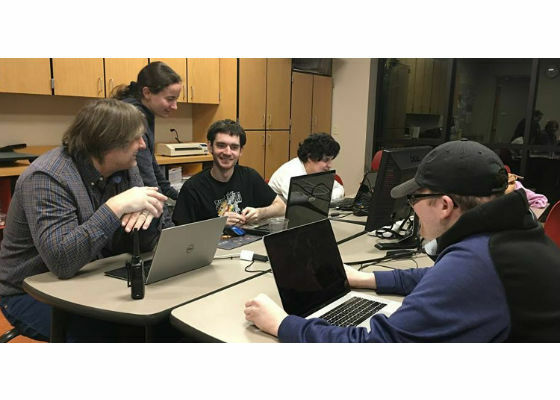 While working to open additional FIDGETECH Explorer chapters, with an initial focus on Yamhill County, Oregon, FIDGETECH held a Game Jam over spring break in March 2017 in the newly launched Chehalem Valley Innovation Accelerator. The Game Jam was joint sponsored through the Intel® Software Innovator program, Intel® Game Dev program, and Soma Games, whose CEO is Intel® Black Belt Software Developer and Intel® Software Innovator Chris Skaggs, as part of the overall Diversity and Inclusion Month efforts in March. 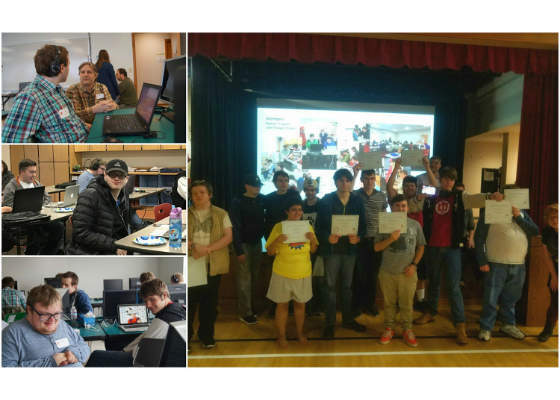 The event provided twelve young adults on the autism spectrum an introduction to game design using Unity 3D and Gaia. Technical instruction was provided by FIDGETECH instructors and professional game developers from Newberg-based Soma Games. FIDGETECH has also launched an evening innovation camp at the accelerator, which will meet weekly September through December this fall. National and state-wide diversity awareness for the employment of autistic individuals is still in its early stages. During initial discussions of program designs, FIDGETECH’s founders were encouraged with the success local young adults on the autism spectrum were finding internships at Portland-based businesses, including Cambia Health and New Relic. In both cases, these opportunities were the result of a collaboration between like-minded corporate representatives and advocates for adults with autism. That set the hook for FIDETECH’s founders, and the launch of the organization’s core programs. New Relic has held two Future Talks at its headquarters in Portland focused on autism in the workforce. Prosper Portland has invited FIDGETECH and New Relic to speak to their TechTown Diversity Pledge Companies to highlight the importance and benefits of hiring individuals on the autism spectrum. For more information on companies who are hiring individuals on the autism spectrum, see the following Forbes article: Where is Autism Employment Heading in 2017? There are many organizations working with Autism Spectrum Disorder (ASD) individuals in various ways, but FIDGETECH is unique in its design. 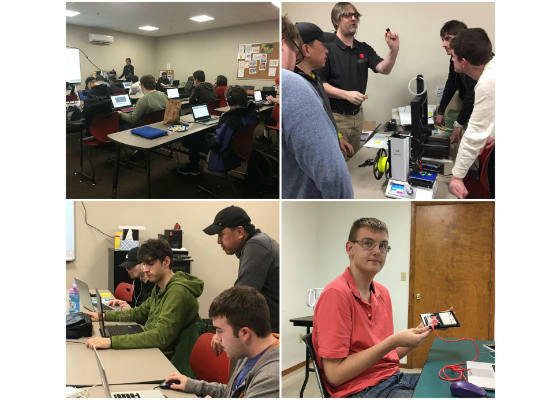 FIDGETECH’s Explorer, Education, Portfolio Builder, and Maker programs are organized to work with individuals as they face obstacles and boundaries in various stages of personal and professional development. For example, the Explorer program can help individuals find a community of peers and develop an interest in technology. The Education program can be helpful for individuals interested in developing skills needed to succeed in a technological field. Although only the Explorer and Education programs are currently operating, FIDGETECH’s vision is to provide long-term support and community to its members by developing all its programs. The Portfolio Builder program is outlined to help individuals with specific skills apply those skills to real-world problems, while the Maker program is outlined for those interested in pursuing the development of a product or project. Please visit our website to learn more about FIDGETECH programs, our staff & directors, and about autism in the United States. Follow us on Facebook to learn about upcoming events and other information. Please direct any questions or inquiries to Justine Haigh: Justine.haigh@fidgetech.org or by phone: (503) 724-3619. FIDGETECH is a vendor with Vocational Rehabilitation. Please see local Vocational Rehabilitation consultants for details. FIDGETECH is always looking to recruit technical volunteers. 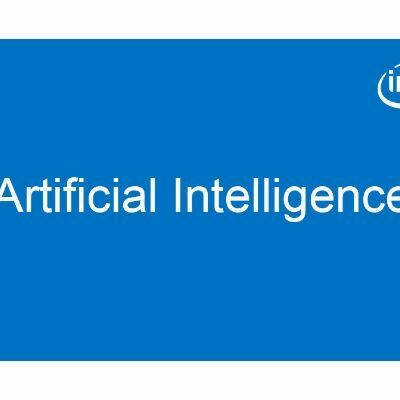 If you are an Intel employee and would like to get involved with this organization, contact Justine Haigh or Wendy Boswell. FIDGETECH is now part of Intel® Involved, the global corporate volunteer program at Intel.